As the days grow longer and temperatures rise, it’s important to consider the effects of the sun on your skin along with ways to keep your skin hydrated and refreshed to maintain a healthy look. Your skin’s needs vary from season to season. During the summer, protect your skin from the heat and damaging UV rays, so it will stay healthy for years to come. It’s your skin, and you wear it every day! While exfoliation is crucial for removing dry or dead cells on the surface of your skin, over-exfoliation can break down the skin barrier. Over-exfoliation can lead to an increase in sun sensitivity, which, in turn, leads to inflammation and dryness. We recommend you exfoliate no more than twice a week with a gentle facial scrub during the summer months. Unfortunately, brown spots tend to increase, or become darker, in the summertime. Both the heat and UV rays can cause the skin to produce more melanin. This production of melanin causes discoloration to appear more noticeable. Shield your skin from the sun as much as possible by wearing hats, sunglasses, and, of course, sunscreen. We also recommend adding a serum with vitamin C that is formulated with evening and brightening ingredients into your regimen. Vitamin C promotes collagen formation and reduces the effects of UV rays and free radicals while helping to maintain firm and youthful skin. Many believe it isn’t as necessary to moisturize the skin during the hotter, more humid months of the summer. However, regardless of the season, all skin types need moisture all year round. Moisturizing serves an integral role in generating new cell growth, and moisture retention is essential to achieve clear and healthy skin. If you find your skin getting oilier with the warmer temps, switch to a lighter hydrating formula. Hopefully, you're already applying a daily sunscreen or moisturizer with SPF 30 or higher. This is even more important in the summer with the extra hours spent in direct sunlight. If your skin is particularly sensitive to the outdoor elements, always be sure to wear a hat in addition to the usual SPF. Multi-purpose products such as Revision Skincare Intellishade® are great for simplifying your skincare routine as it works as a tinted moisturizer that gives the skin a touch of sheer, healthy color and is formulated with a blend of peptides and broad-spectrum UVA and UVB protection. 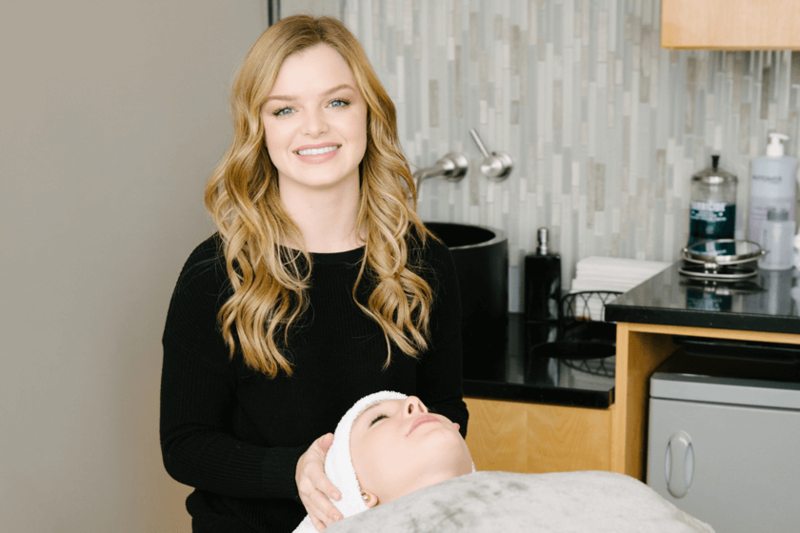 Facials are a great way to treat yourself and give your skin a little TLC. Facials give the skin an added boost that a daily regimen simply can’t. During a facial, the skin will be steamed to open pores, extracted and then readied for a gentle mask. Depending on the skin’s needs, the mask may be to calm, hydrate or decongest. The relaxing atmosphere is an added bonus, too! Not only are chemical peels safe in the summertime, they are recommended as long as you’re diligent at protecting your skin from the sun’s UV rays. After a chemical peel, the fresh, new skin is more sensitive to the sun, so it’s imperative to keep your skin safe. Chemical peels will improve the texture of your skin, lighten brown spots, help with oil production and remove the dead, dull skin. If you have any questions about your summer skin care, be sure to talk with a medical skin care professional at Artisan 57 TODAY!